Salter MotorSports offers discerning enthusiasts and drivers storage and preparation services for vintage and collectible sports and grand touring cars. 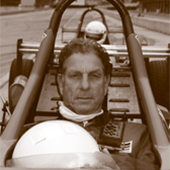 Robert Salter, whose love for pedigreed cars matches that of his business partner, is a skilled amateur driver and longtime member of the Porsche Club of America, Lime Rock Drivers Club, and various other sports car organizations. Over the years he has owned and driven a wide variety of European exotics and sports cars, and possesses a passion for all things automotive that knows few bounds. As Salter puts it, "I like thinking about cars. I like talking about cars. I like buying cars. I like how they look, sound, smell, feel and the excitement they generate." Curtis Farmer grew up in the late 60’s. Under the influence of his older brother who ran a gas station and raced cars, Curtis also started to work on cars and motorcycles and attended a Canadian open wheel racing school in 1988. All of this experienced instilled in him at a very early age the need and ability to come up with the best solutions for any task, attention to detail and pride in the job at hand. 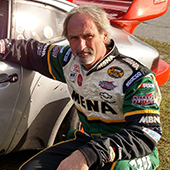 Curtis currently races in various HSR events, and leads the maintenance shop at Salter MotorSports with a keen eye and a lifetime of experience.